Court reporting is a good career option for anyone with an interest in legal matters and the manual dexterity to listen and record simultaneously. This career was projected to have a 25 per cent growth rate between 2006 and 2020 and the mean income of a court reporter is $51,960. Court reporting schools offer associate degrees which are typically 2 to 3 year programs. There are campus-based and online court reporting schools which can train your to qualify for this career. Court reporters are going to be in high demand because they are not only required for recording trials and other legal proceedings but their skill sets are also useful for recording other kinds of business meeting and for providing close captioning for the hearing impaired. They are crucial in any setting where there is need for an official record of the events and of the ideas exchanged. So, if you are exploring court reporting school, keep in mind that you have the option to define your area of reporting. You can use a stenographic machine to record the events and be a transcriber, you can use a tape recorder and function as an electronic reporter or you can even be a voice writer who repeats the legal proceedings in a tape-recorder and later puts it down on paper. There are nearly 150 schools and colleges which offer court reporting degrees either via campus-based instruction or through the Internet. There are licensing agencies which stipulate the requirements for getting a court reporting license. Choose a program with the awareness that this licensing should be completely above board and trust-worthy. About 50 percent of those who go through court reporting school are employed by the federal government, which requires a typing rate of 225 words per minute. 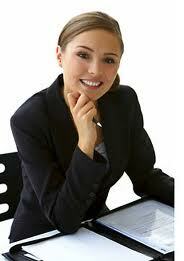 The other court reporters tend to join court reporting agencies or may even be self-employed. If you like the idea of sitting in on judicial proceedings and taking on the responsibility of recording the proceedings for the archives, you should consider the various court reporting schools. An online program can be a great way of earning certification for this career as you can decide your own schedule and progress at a pace that works for you. When considering online court reporting programs, be wary of fraudulent schools and institutions without accreditation. It will be a pity to put in the time and effort to be stuck with a certificate that has no validity during our job search. This is the time of the promised growth in this industry and it is a good idea to strike while the iron is hot. If you find an online court reporting school that looks attractive, do not hesitate to move on it. Make the call or send the email that can potentially change the rest of your life. You will be that much closer to becoming a court reporter.